ViscoTec China presented itself at the productronica 2016 in Shanghai (China) – one of the leading trade fairs for innovative electronic manufacturing in Asia. The whole preeflow product range was shown at the booth. Over 1.000 exhibitors from 31 countries presented all latest developments. In this year, there were 62.000 visitors at productronica, this is a growth of over 11 % compared with the previous year. 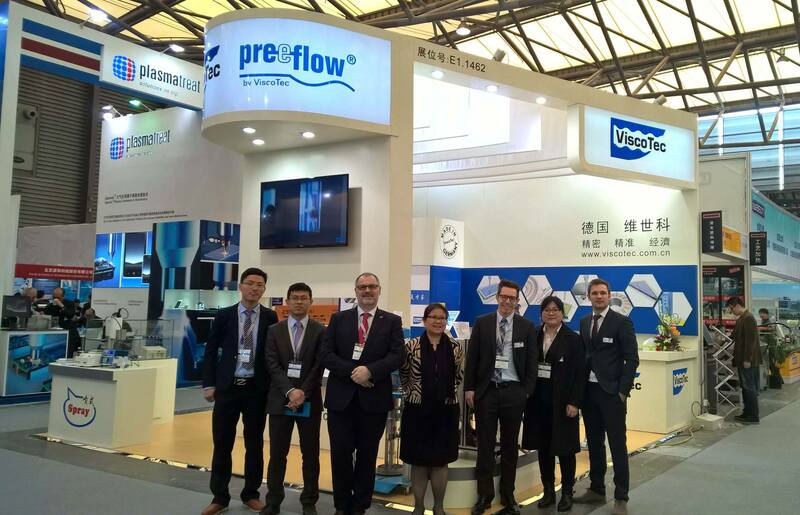 The whole sales manager team from China and two sales managers from ViscoTec Germany were available at the booth to answer customers’ and interested parties’ questions. The new preeflow eco-SPRAY was the highlight at the ViscoTec booth. 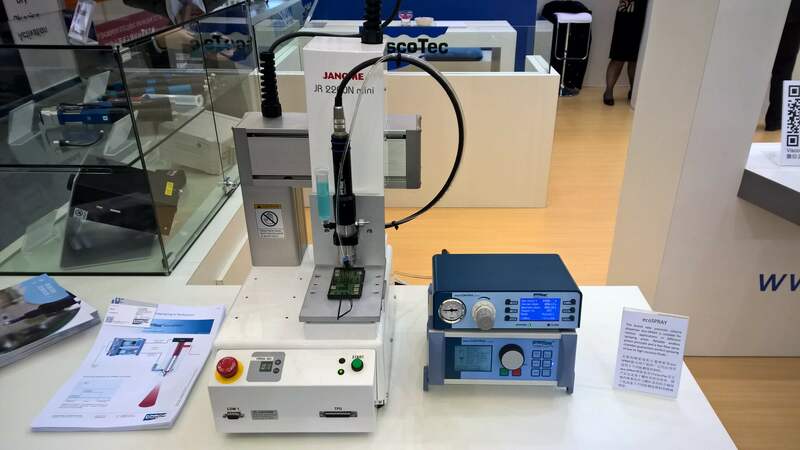 Combined with a table-top robot by Janome ViscoTec demonstrated a spray application. In Asia, conformal coating and spray applications are essential parts of electronic manufacturing.